Exploring how interactions between the brain and the immune system can either promote brain health or increase susceptibility to neurodegenerative disorders such as Alzheimer’s disease and how obesity and air quality can help tip the balance. 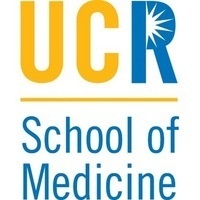 Speaker Dr. Monica Carson, Chair of the Division of Biomedical Sciences and Director for the Center for Glial-Neuronal Interactions, UCR School of Medicine, will share the most current brain research and how it applies to new treatment and therapies. You will find out what researchers have learned by studying how the brain and immune system interact from infancy to old age, and why it is imperative that these two systems work together to maintain brain health. Sponsored by Cheryl and Bob Fey in honor of The Neurovitality Center.